June 24–September 15, 2017. Trestle Projects, Brooklyn, NY. 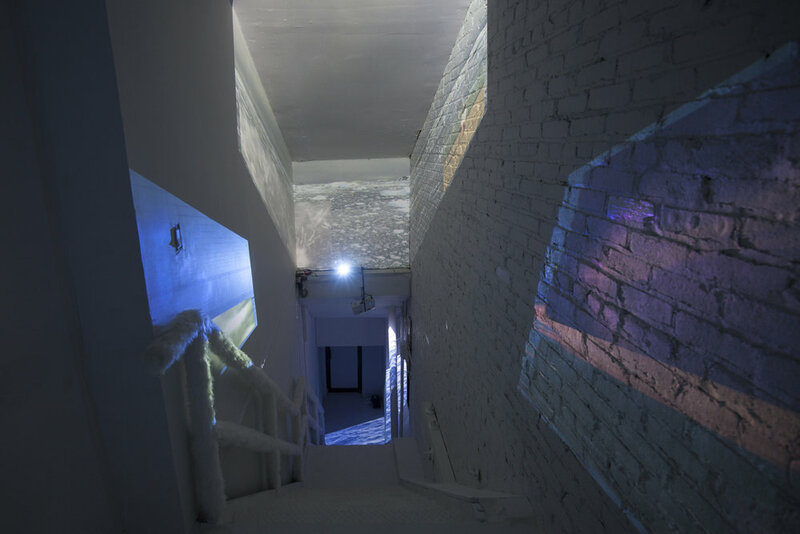 A multi-sensory, collaborative installation by MATERIAL GIRLS that explored the stairwell as a transitional space via water related imagery, sound & spoken word text, temperature shifts, and scents. This installation focused on the phase changes of water & how the language used to describe these transitional conditions (“melt”, “freeze”, “sublimate”) describe psychological & emotional states. 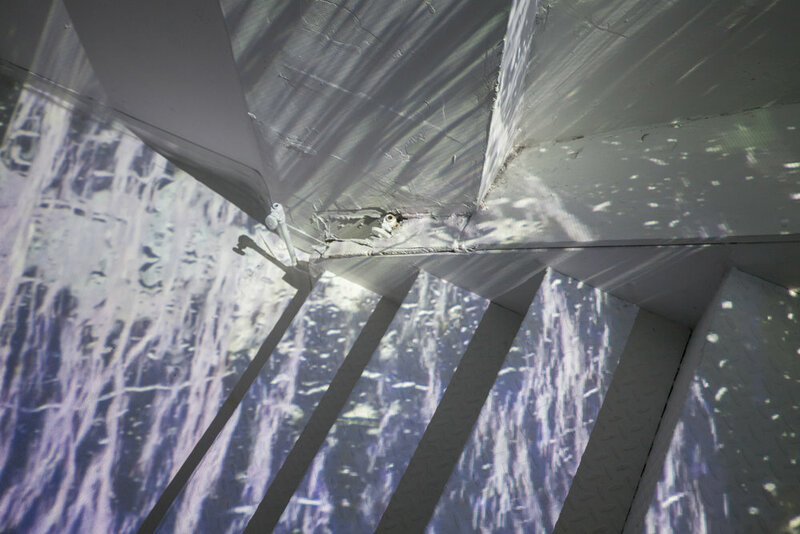 The installation contained three "environments" that flowed into one another, calling upon the different phases of water to mark the progression of the viewer through the space on several axes: from low to high, from outside to inside, from natural to artificial, etc.